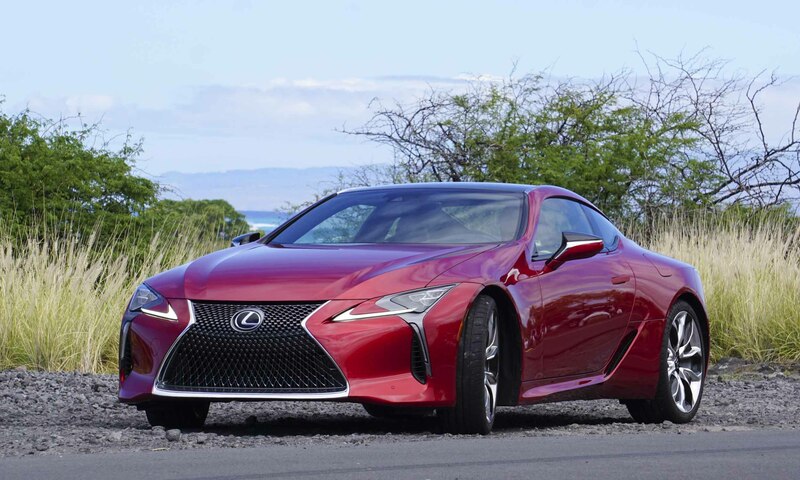 The Lexus LC coupe design is bold and aggressive, replicating almost exactly the style of the Lexus LF-LC concept — a stunning coupe that won the EyesOn Design award for best concept when it debuted in 2012 at the Detroit Auto Show. 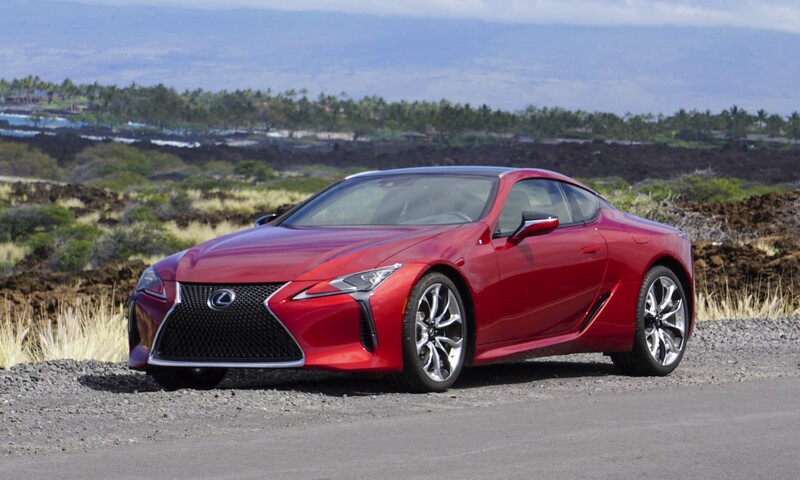 Four years later when the production Lexus LC coupe debuted at the 2016 Detroit Auto Show, it garnered two EyesOn Design awards for Production Car and Best Designed Interior. With the LC 500 (and LC 500h hybrid), Lexus brings concept car looks to the street with an aggressive yet elegant design that attracts attention. Key LC coupe design elements include the signature Lexus spindle grille, a low hoodline and wide rear fenders, with a standard glass roof flanked by chrome and black C-pillars. The spindle grille has proliferated throughout the Lexus lineup — more successfully on some models than others — and it works well on the LC with a unique mesh finish. The grille is flanked by L-shaped daytime running lights and small triple LED headlights. The rear fenders flare out from the door panels with air ducts that feed into the wheel arches for aerodynamic stability. At the rear, the roofline tapers in over the fenders between sloping shoulders. The spindle shape gets repeated, and narrow taillights use mirrors to create a 3-dimensional series of L-shaped graphics. To retain the low, sloping hoodline of the LF-LC concept on the production coupe, Lexus designers and engineers worked together developing a new front suspension system. 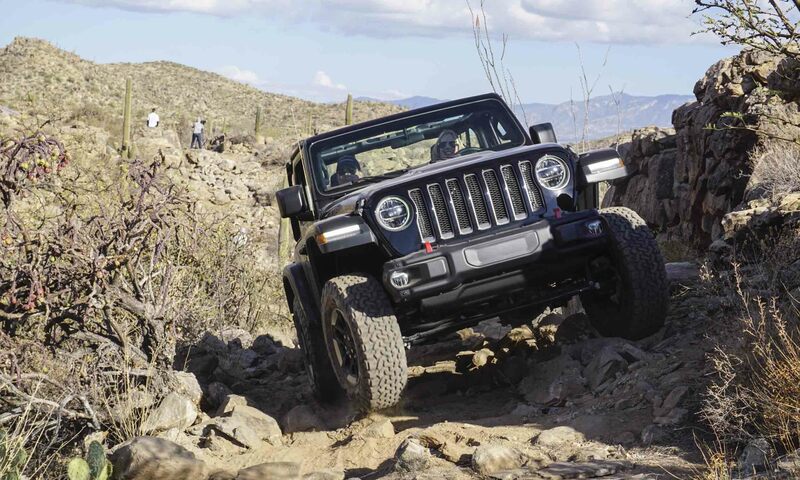 Constructed primarily of lightweight forged aluminum to save weight, the double-ball-joint suspension not only allowed designers to create the shape they wanted, it provides precise control, sharp steering response, dynamic handling and a high level of ride comfort. Bringing the LF-LC concept to life as the LC coupe required the development of a new front-engine rear-drive platform, which will also be used for the 2018 Lexus LS sedan due later this year, as well as for future models. A key focus for the new platform was to lower the center of gravity to improve dynamic performance. The LC uses aluminum for the hood, front fenders and outer doors, with only the rear fenders made of steel. 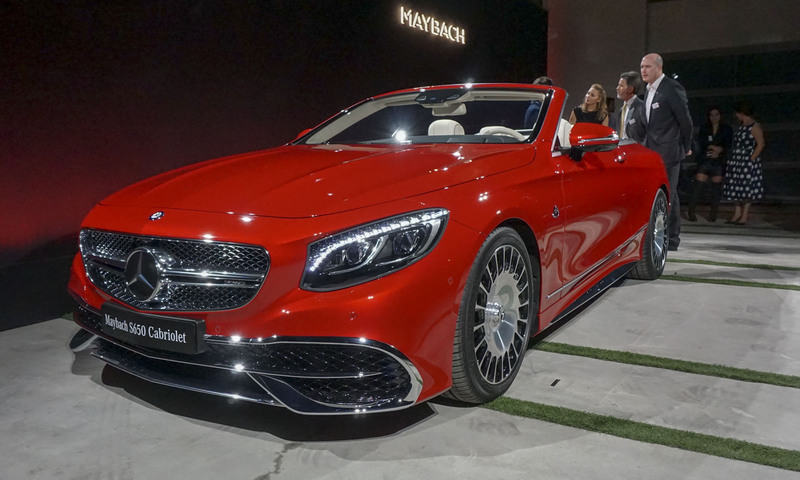 Inner door panels and the trunk are made from carbon-fiber-reinforced plastic; a new molding process is employed for the optional carbon fiber roof with a visible twill weave. In the relatively short time since the launch of Lexus in 1989, the brand has featured a series of coupes in the lineup, beginning with the SC 400/300 in the early 1990s, followed by the SC 430 folding hardtop in 2002. The IS C coupe with folding hardtop followed as a 2010 model and the limited edition LF-A V10-powered supercar went on sale in December of 2010, starting at $375,000 with only 500 total produced. 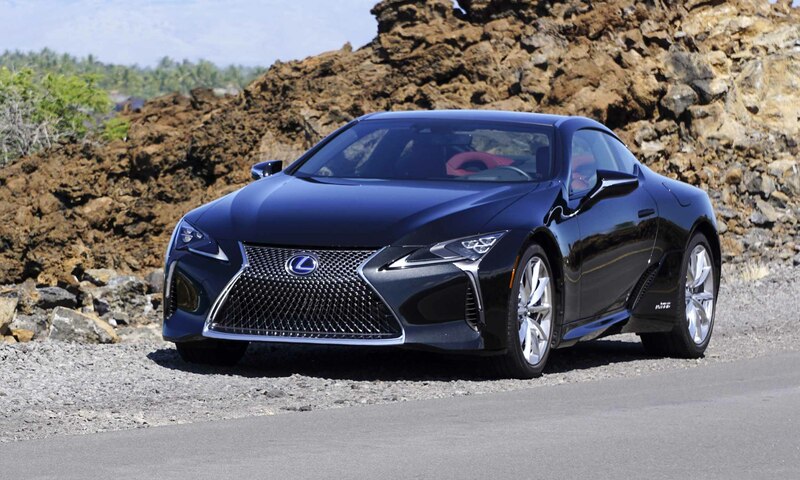 Currently in the Lexus model line, the RC and RC F coupes are smaller than the LC and went on sale as 2015 models. 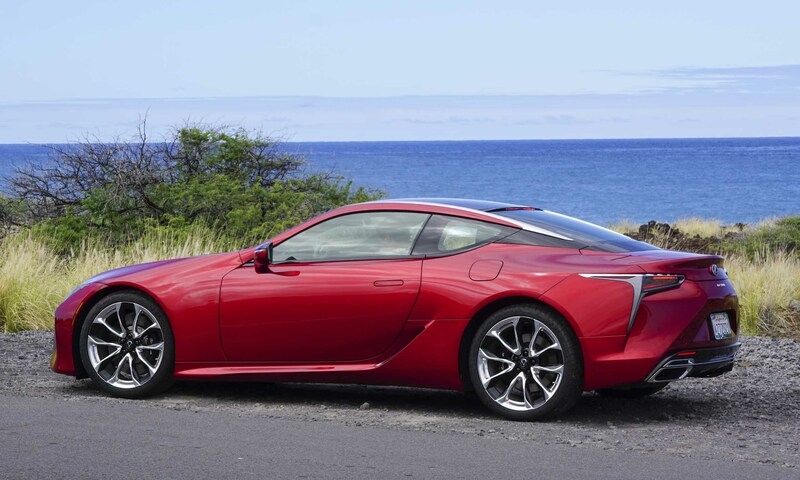 The Lexus LC is offered in two versions: the LC 500, powered by a 5.0-liter V8; and the LC 500h, powered by a new Multi-Stage Hybrid System that combines a 3.5-liter V6 engine with two electric motors. The LC 500 starts at $92,000 and the LC 500h at $96,510. 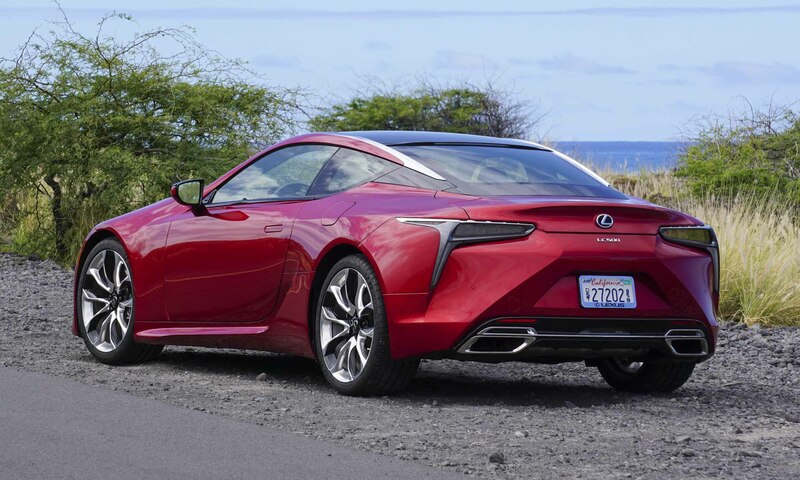 The only visual differences between the two are the addition of the ‘h’ to the LC 500 designation on the rear panel between the taillights, with ‘500h’ highlighted in blue and small ‘Multi Stage Hybrid’ badges on the lower body sides ahead of the front wheels. 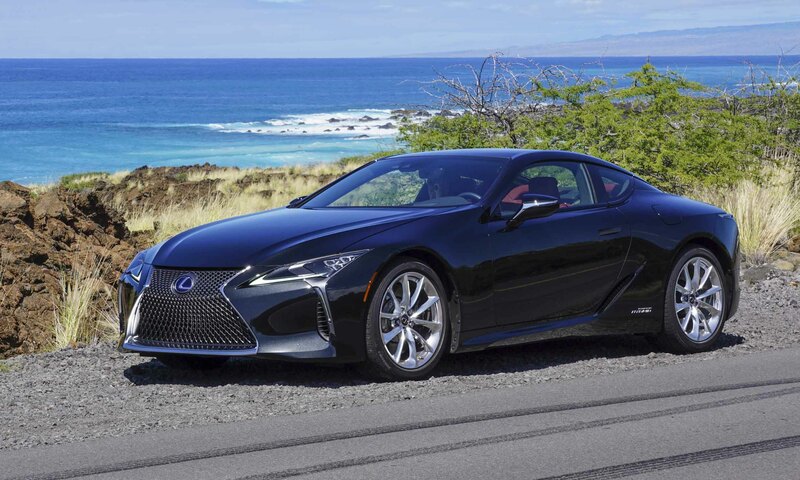 The Lexus LC 500 is powered by a naturally-aspirated 5.0-liter high-performance V8 engine that produces 471 horsepower and 398 lb-ft of torque and has a redline of 7300 rpm. 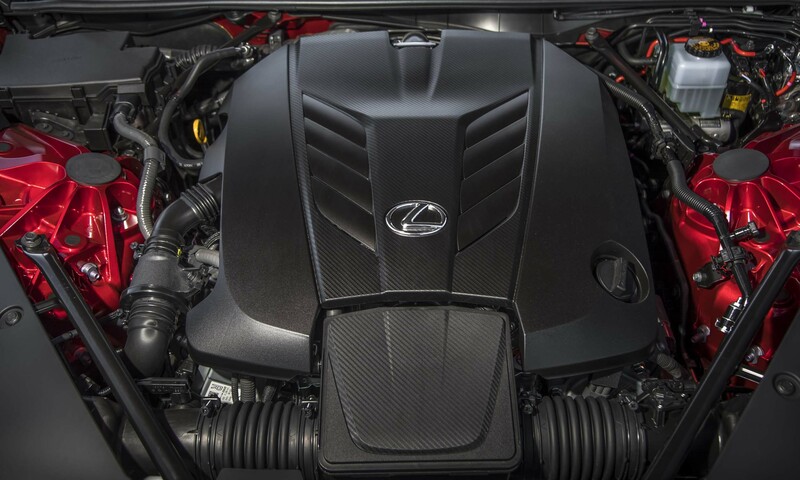 Based on the same engine as the Lexus GS F, the LC 500 powerplant features variable Active Exhaust, 32-valve heads, and a fuel-injection system that uses both direct injection and port injection for improved low-speed response. In addition to the active exhaust — which opens in Sport+ mode — a resonance tube connects the intake to the firewall for engine sound under acceleration. 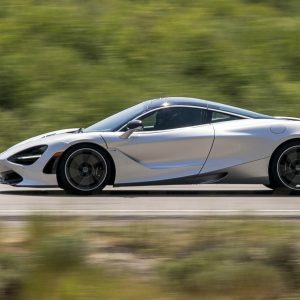 A new 10-speed automatic transmission features close ratios between the lower gears for improved acceleration, and it can be shifted manually with magnesium paddles. Drive Mode Select offers six choices: Normal, Comfort, Eco, Sport, Sport+ and Custom. 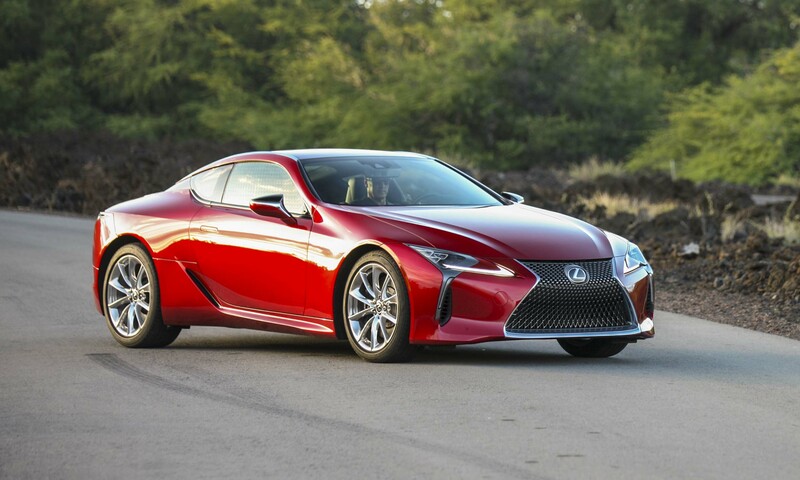 According to Lexus, the LC 500 will accelerate from zero to 60 mph in 4.4 seconds with a top track speed of 168 mph. Fuel economy is rated at 16 mpg city / 26 mpg highway / 19 mpg combined. 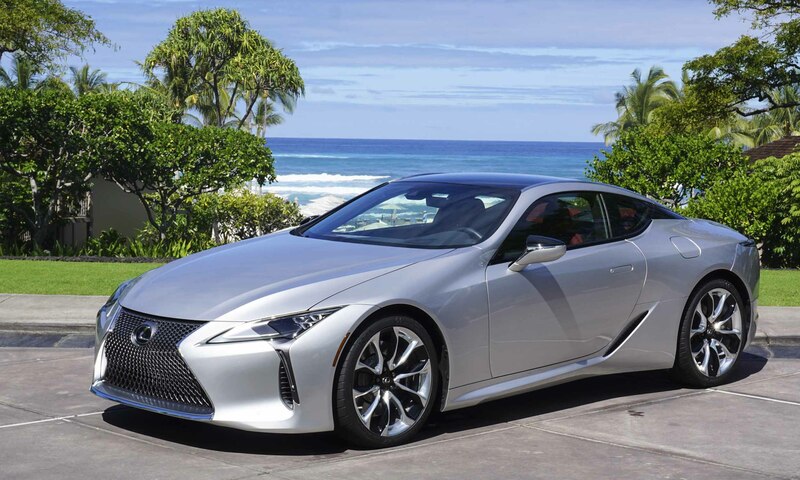 Lexus developed the new Multi Stage Hybrid system for the LC 500h, combining a 3.5-liter V6 gasoline engine with two electric motor/generators, similar to previous hybrid Lexus models, with a total system output of 354 horsepower. The Multi Stage Hybrid system also uses the continuously-variable transmission from Lexus Hybrid Synergy Drive, but adds a 4-speed automatic transmission allowing the system to better utilize the V6 engine across the speed range. It also offers more electric assist at low speeds and can operate electric-only up to 87 mph. In M manual mode, the two transmissions work together, allowing the driver to shift through 10 ratios with the paddle shifters; in automatic mode, gear selection is based on driving conditions and driver input. Just a tick slower than the LC 500, the LC 500h will accelerate from zero to 60 mph in 4.7 seconds with a top track speed of 155 mph. Fuel economy is rated at 26 mpg city / 35 mpg highway / 30 mpg combined. 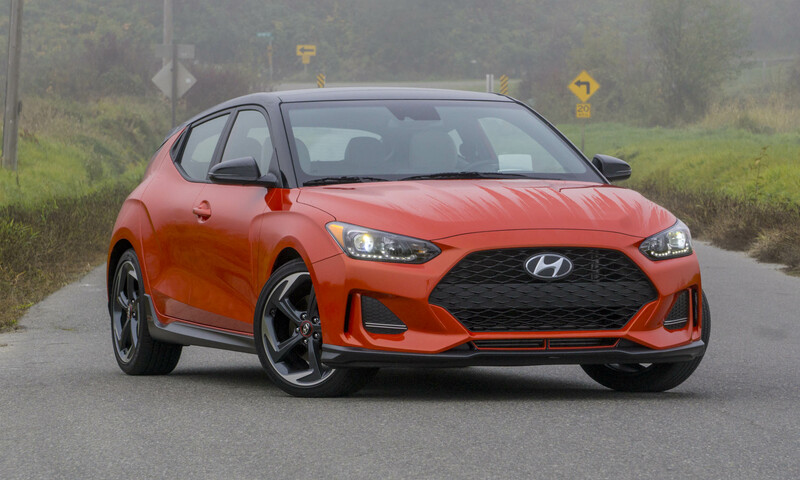 The Touring Package includes 20-inch forged wheels, heated/ventilated front seats, 2-way passenger seat lumbar, a Mark Levinson audio system, Blind Spot Monitoring and Intuitive Park Assist. 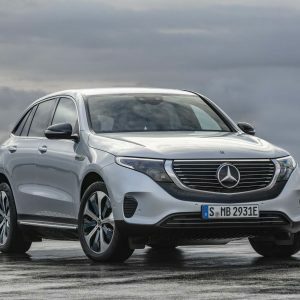 The Sport Package also includes 20-inch forged wheels, Alcantara Sport seats, heated/ventilated front seats, Lexus Premium Audio, a limited-slip differential, BSM and IPA. 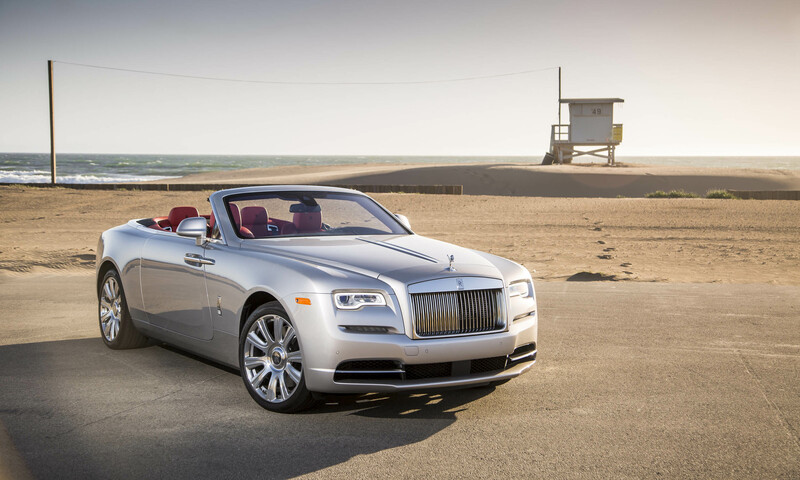 When the carbon-fiber roof is added to the Sport Package, 21-inch forged wheels are also included. 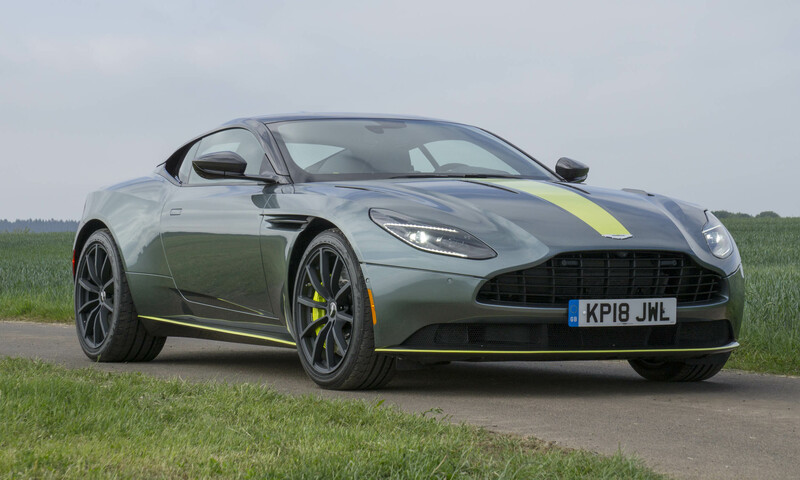 The Performance Package includes the Sport Package with the carbon fiber roof and adds active rear steering, variable gear ratio steering, an active rear spoiler, an Alcantara headliner and carbon fiber scuff plates. 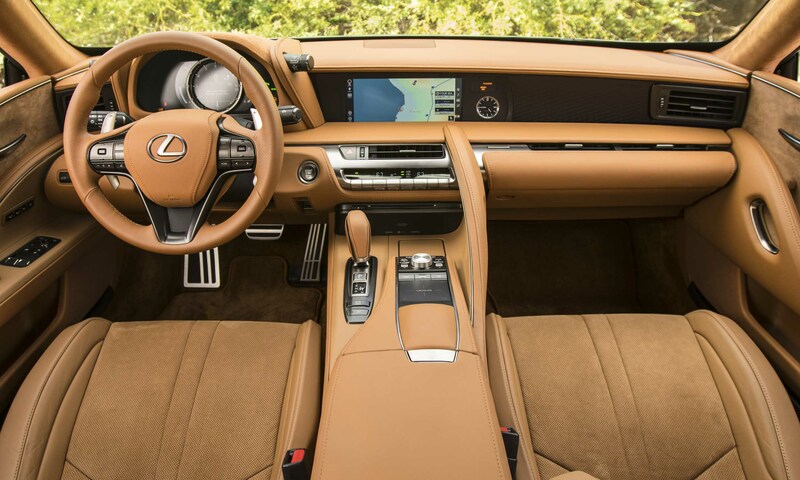 If the Lexus LS is dramatic and bold on the outside, it is nothing but pure luxury on the inside. Even though a sporty flair infuses the driver-oriented cockpit, occupants get cocooned in quality materials with a refined feeling and attention to detail. The 2-piece seats position the driver low, although visibility is good thanks to the low hoodline and narrow A-pillars. The 2-piece seats offer shoulder bolsters with more substantial bolsters for the sport seats. The instruments feature new thin film transistor display technology first used in the LFA, and the display changes for different drive modes. The information display to the right is at the same height. The asymmetrical console/center stack design is higher on the right side and includes a handle for the passenger. The LC is strictly a 2+2 coupe with rear-seat passengers limited to small children or a very short ride for adults — the driver and front-seat passenger will need to share their legroom with rear-seat passengers, and headroom is limited for adults. There is nothing like the sound of a normally-aspirated V8 engine. In Sport+ mode, with the active exhaust open, the LC 500 sounds fantastic and will do its best to convince you that it’s actually a sports car. But the LC 500 also is an exceptional grand touring car with plenty of power, a quick, smooth-shifting transmission and Drive Mode Select. And it looks like a concept car on the street, drawing attention wherever it goes. 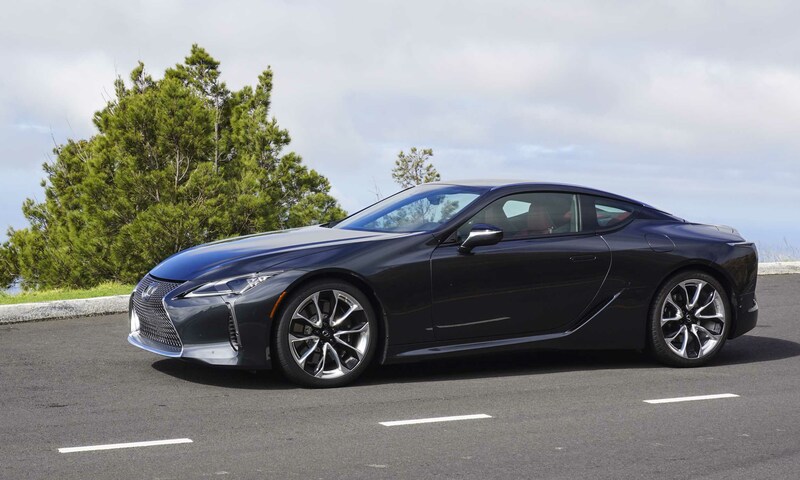 The LC 500 with the Performance Package and active rear steering and variable ratio steering reveals that Lexus engineers have done a fantastic job of tuning the electric steering for the right amount of feel and feedback. In Sport+ mode, the ride is well-controlled but never too harsh, and the steering effort and precision are just right. On twisty mountain roads the LC 500 feels surprisingly agile and quick, despite weighing 4,280 pounds. And that V8 sound remains on tap — anytime you want it. Lexus only expects 10 percent of LC buyers to choose the hybrid version, which is a pity because the LC 500h is an interesting car. The Multi Stage Hybrid system feels much like a 10-speed transmission in manual mode, and acceleration is quick at low speeds. It also sounds good under acceleration, but we suspect some active enhancement to make it sound the part. The fuel economy improvement at 9–10 mpg across the board is impressive, and it’s still fun to drive. Lexus now has a flagship for hybrid owners as well. 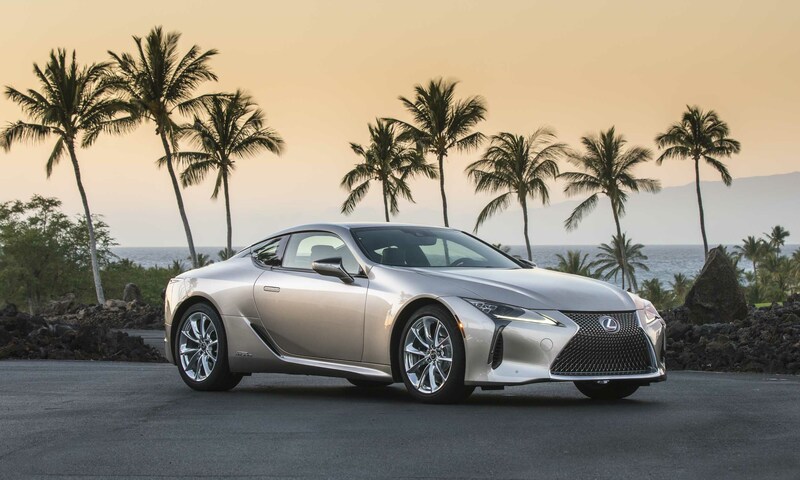 The Lexus LC offers a new choice for buyers looking for a personal luxury coupe. The bold design makes a strong statement, with the LC combining the luxury expected from a top-level Lexus model with a high-performance drivetrain and exceptional driving dynamics. There’s even a hybrid model with a new, high-performance Multi Stage Hybrid system for the eco-minded luxury buyer. 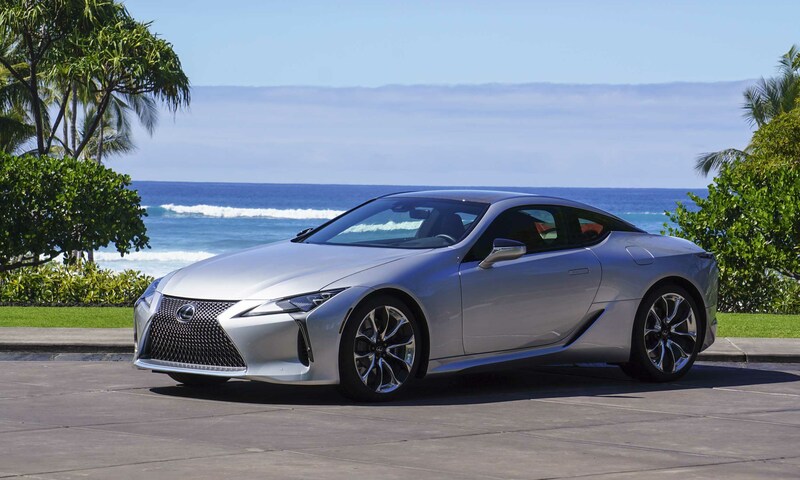 If you are looking for a luxury coupe with eye-catching style, the Lexus LC coupe might be the car for you. Pros: Eye-catching design; powerful engine, great sound; top-shelf interior. Cons: Strictly a 2+2 coupe; limited supply (400 per month in U.S. market). 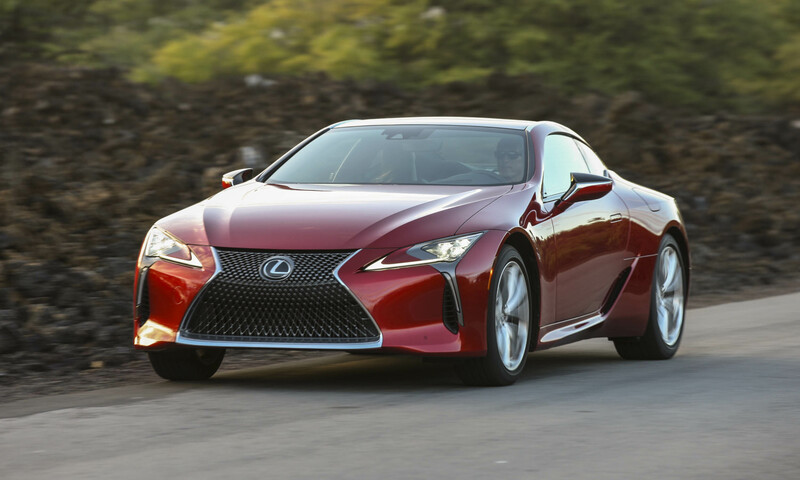 Bottom Line: Lexus flagship LC coupe delivers luxury and performance with concept car looks. Comparing the LC500 to any Corvette is the epitome of an apples to oranges comparison. I’ve never seen GM product have the fit and finish of a basic Toyota, much less a Lexus. Even BMW and Mercedes scratches their heads on how Lexus does it. I’d say hold off and wait for the LCF, it should have a twin turbo 4.0L like the new LC500, but with boosted torque and HP (600+?). Beautiful. However, all the things you hype about it you get in a 60K Corvette. Front Mid-Engine Rear Drive 2-seater with a 50/50 weight distribution. It has a few more HP but far less torque. 0-60 is a lot slower and top speed is lower. Interior is similar but I prefer the more driver focus of the Corvette. I’m not saying it is bad. 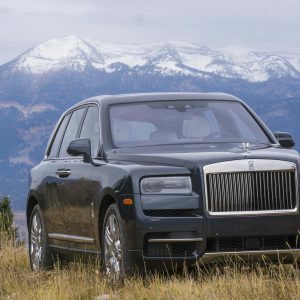 It is worth something to have a lower production car for the bit more exclusivity without having to go full exotic price. Nice competition to the Mercedes SL or Jaguar F. Been there, done that.